Considering that the Samsung R780 hits that magical sub-$1000 price point, I’d say that it offers a fair bit of value for money. You get a large 17.3-inch LED HD+ display with great vibrant colors and a decent 1600×900 pixel resolution. I would have liked true 1080p and a Blu-ray player, but those may have bumped the price into four figures. 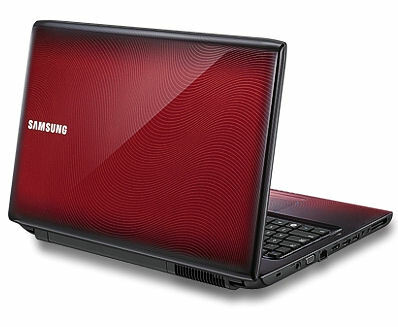 When we reviewed the Samsung R730, we were impressed by its £500 price tag and stylish red lid. But we were disappointed by its lack of power and the fact that the lovely red finish didn't extend to the laptop's interior. The Samsung R780 offers good performance for the price, and both the chassis and display look great. If you can forgive its weak battery life, it'll prove an ace multimedia machine. Looks good, works well and doesn't cost a packet - what's not to like? Well, apart from the disappointing sound and below par Blu-ray playback, not much. For the most part, though, this is a stylish machine which delivers good results. 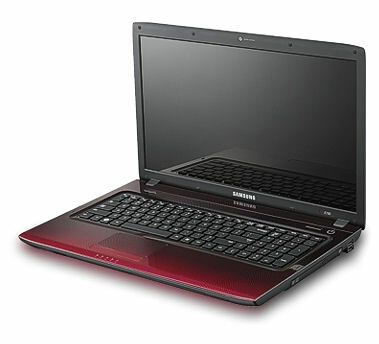 Samsung's R780 is a budget desktop replacement laptop that offers good performance and is solidly engineered. The NP-R780-JSIBUK version we reviewed offers good value for money. It's bundled with excellent specifications, but battery life is criminally low and it lacks a full HD screen. There are a couple of configurations to choose from, but you can't upgrade the screen to a higher resolution. NVIDIA GeForce GT 330M: The Nvidia GeForce GT 330M is the successor of the GT 230M and technically just a slightly higher clocked GT 240M (but it should still maintain the power envelope of the GT 230M as the naming suggests). Non demanding games should be playable with these graphics cards. » Further information can be found in our Comparison of Mobile Graphics Cards and the corresponding Benchmark List. The Core i5-520M has only 3 MB L3 Cache (compared to the I7-640M) and clocks between 2.4-2.93 GHz (Turbo Mode). Thanks to Hyperthreading, 4 threads can be processed simultaneously. An integrated graphics card (GMA HD 3150) and a DDR3 memory controller are also included in the package. 72.25%: This rating is bad. Most notebooks are better rated. This is not a recommendation for purchase.